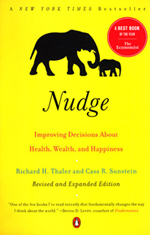 Nudge: Improving Decisions About Health, Wealth, and Happiness – Thaler and Sunstein’s work is a cornucopia of principles and strategies for leaders trying to create healthier organizations. 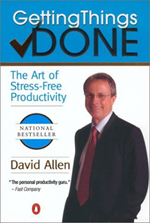 Getting Things Done: The Art of Stress-Free Productivity – David Allen offers theoretically sound and immediately practical ideas for dramatically improving personal productivity and peace of mind. Personally, I like it most for the latter. 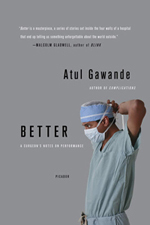 Better: A Surgeon’s Notes on Performance – Gwande’s book is worth reading for the sheer beauty of his prose. But the implications of his analysis for improvement in all organizations—not just healthcare—make this an important read for any leader. 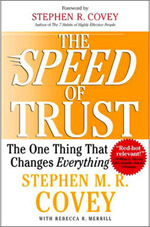 The Speed of Trust: The One Thing That Changes Everything – Covey’s idea is simple but utterly essential—and his insight that there is an exponentially positive relationship between trust and speed makes an irresistible argument for leaders to make the character of their organizations a strategic focus. Previous PostOvercoming Resistance to Safety StandardsNext PostKerrying On: Feeling Frazzled?